Hello and Happy New Year to my readers and followers! I feel the need to apologize for my infrequent posts lately; since starting my new job in November I don’t have nearly as much time to read or write. I still intend to publish book reviews as I am able, but I won’t be able to publish articles as often as I did last year. As we enter a new year, I once again challenge you to read material that is profitable to your soul and to your mind. If you haven’t already done so, take a look at my lists of fiction and non-fiction books I believe every Christian should read. Most importantly, I exhort you to make the reading of God’s Word a priority and a regular part of your daily routine. In order to make it easy, you might consider some of the suggested reading schedules mentioned here. 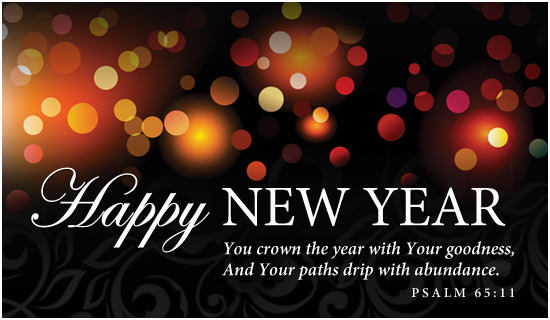 And may the Lord bless the reading of His Word to the good of your soul in the year 2014! Well, it’s that time of year again when a lot of people think about what changes they want to make in their life. Lots of people make resolutions related to their physical health, like losing weight, starting an exercise program, or quitting smoking. Some set educational or career goals, say, to go back to school and finish a degree, earn a certification, or get a new job or promotion. Maybe you want to improve yourself as a person — quit a bad habit, learn a new skill or hobby, or travel somewhere you’ve always wanted to go. But have you thought about making a resolution that will profit your soul or help you to grow spiritually? This entry was posted in Non-Fiction, Random Musings and tagged New Year Resolution, reading the Bible. Bookmark the permalink.